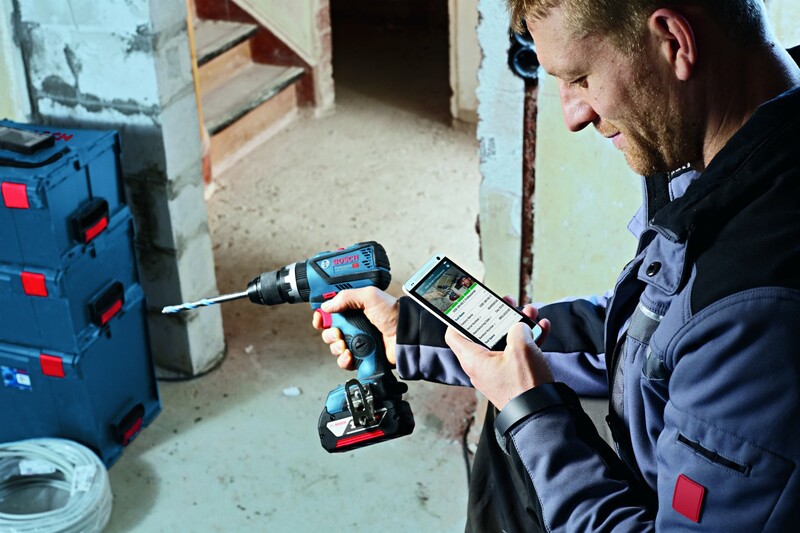 Bosch is encouraging builders to get connected with the tools they buy. To do this, they are offering two lucky readers of Professional Builder the chance to win a connectivity tool bundle. What’s more, the benefits of connectivity will grow as continuing development adds extra capabilities via updates to the app. To highlight the benefits of Bosch Professional tools and connectivity, we’re giving away a Bosch GSB 18 V-60 C Professional combi-drill bundle! The compact Bosch GSB 18 V-60 C Professional offers high efficiency, extended lifetime and long runtime advantages due to a powerful brushless EC motor. Not only that, but the GSB 18 V-60 C is a connected tool, allowing remote adjustment and personalisation of settings as well as access to tool data. Used in combination with the free Toolbox app and Bluetooth connection, its connectivity enables you, for example, to apply your own KickBack Control and Precision Clutch settings, view tool alerts and check tool usage records. Along with Kickback Control, to help avoid jamming-related accidents, and Electronic Motor Protection (EMP), to prevent overload damage, the combi drill has Electronic Precision Control (ECP) for more sensitive work with delicate materials. Using connectivity, the Bosch GSB 18 V-60 C Professional offers KickBack Control, precision clutch and other settings can be quickly personalised and tool data can be accessed. We’re giving away two of these great drills along with two 4.0 Ah ProCORE18V batteries, the GAL 1880 CV battery charger and an L-BOXX to store it all. To enter the competition simply fill in the form below.